This is one of my go-to lunch favorites! I prepare plenty of it to last me through the week and eat it for meals and snacks. 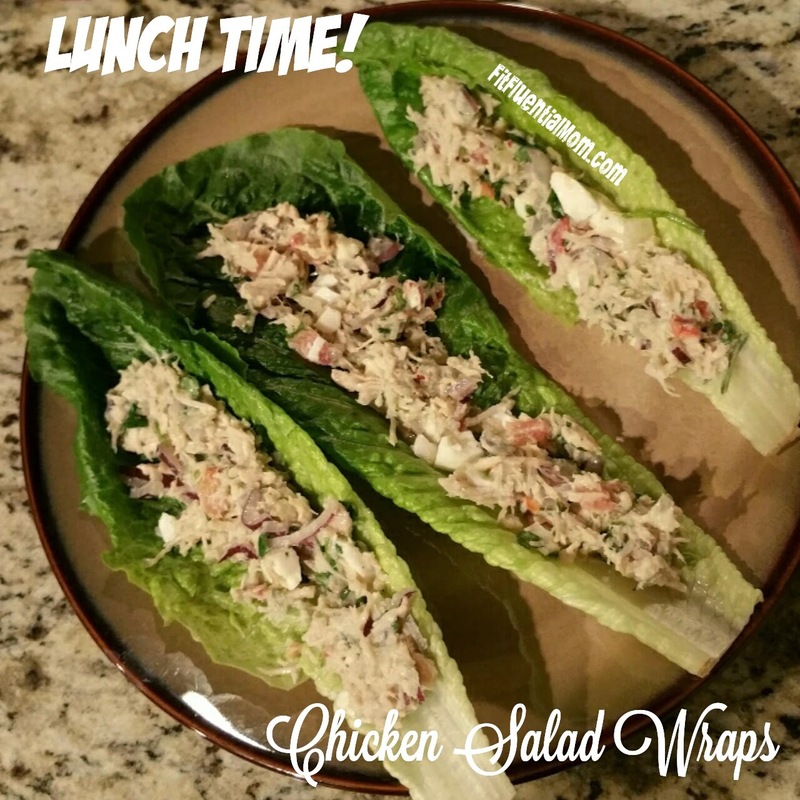 Low carb, clean, paleo friendly and easy to eat for moms on the go! You can use any type of chicken salad, yogurt and seasoning that you'd like but I added the ones I use below. I'm also not very good at measuring but you can follow the recipe as is and add more or less depending on the consistency that you like for your chicken and/or tuna salad. You can sub the chicken for canned tuna or salmon as well! And you can also use a fresh rotisserie chicken but I didn't have one on hand this week so I used the canned chicken instead. I make enough for the week and it makes about 7 servings. The recipe below is for 4 servings. Add the chicken to a bowl. Mash it up to get rid of the chunks and make it as pulled apart as possible so it resembles the consistency of canned tuna. Place it inside a romaine lettuce leaf and eat them like a taco!